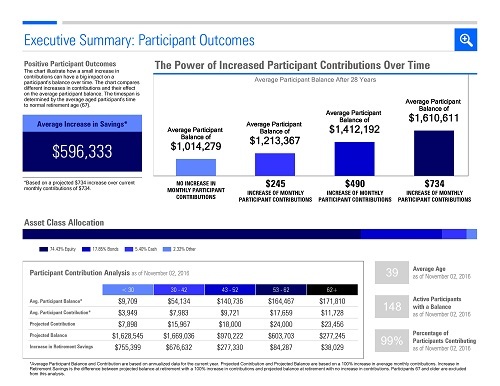 We are pleased to announce enhancements to the Annual Review and Benchmarking Report designed for retirement plan advisors to encourage better participant outcomes. 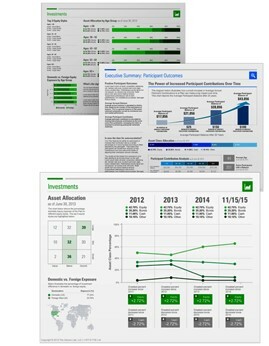 The enhanced Report is now available through the PCS Reporting and Benchmarking Center. To check out the latest updates, simply login to the PCS advisor portal and click the “Reporting and Benchmarking Center” link on the right-hand side of the page. Reports are available On-Demand under the Plan Reporting tab. New to the Reporting and Benchmarking Center? Click here for a guide to using the site. If you have any questions, please contact our advisor services team.